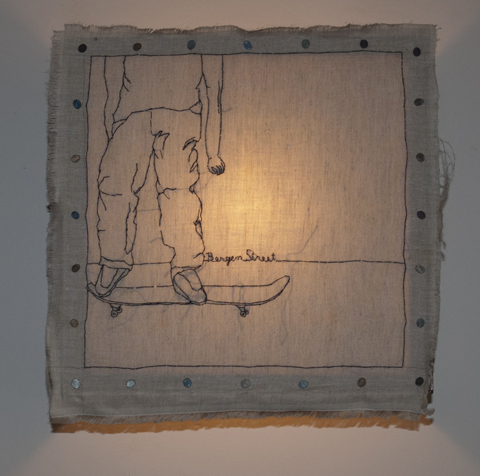 “Brooklyn Skates.” Embroidery on linen on sconce @ 61 Local, 61 Bergen St, Brooklyn. 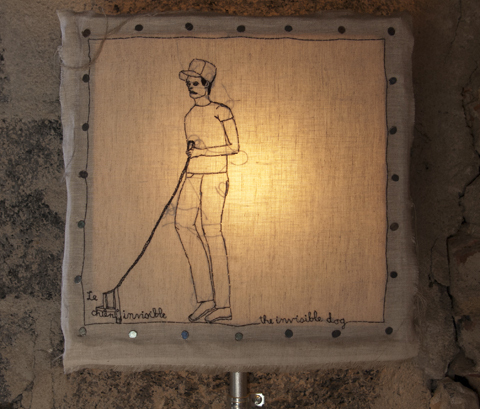 “Le Chien Invisible/The Invisible Dog.” Embroidery on linen on sconce @ 61 Local. 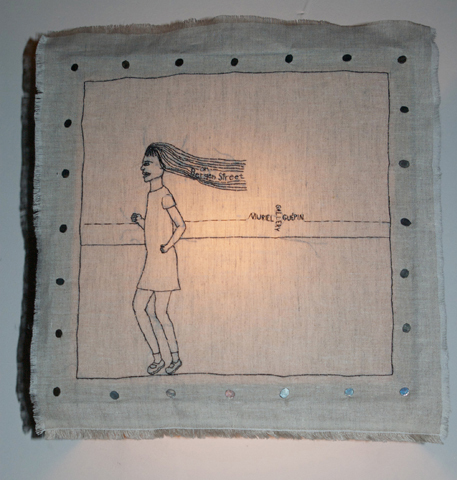 “Girl Running past Muriel Guepin Gallery.” Embroidery on linen on sconce @ 61 Local. 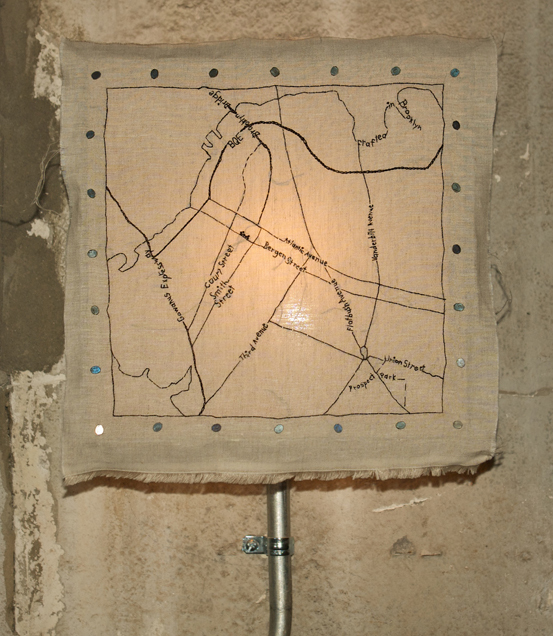 “61 Local Environs.” Embroidery on linen on sconce @ 61 Local. 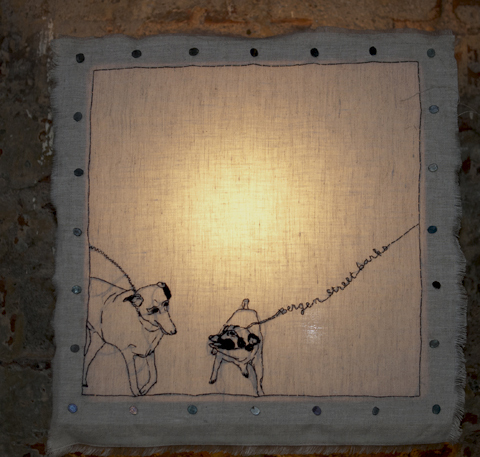 “Bergen Street Barks.” Embroidery of 2 dogs falling in love on linen @ 61 Local. 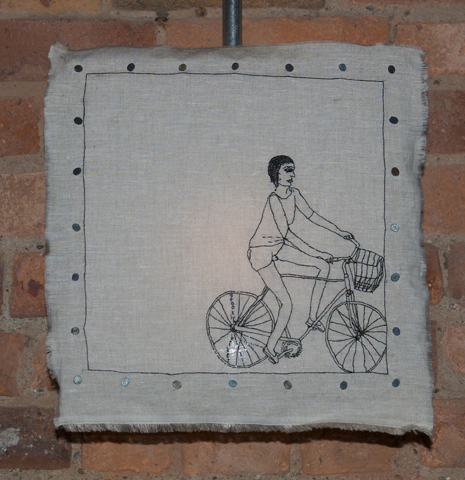 “Brooklyn Bikes.” Embroidery on linen on sconce @ 61 Local. 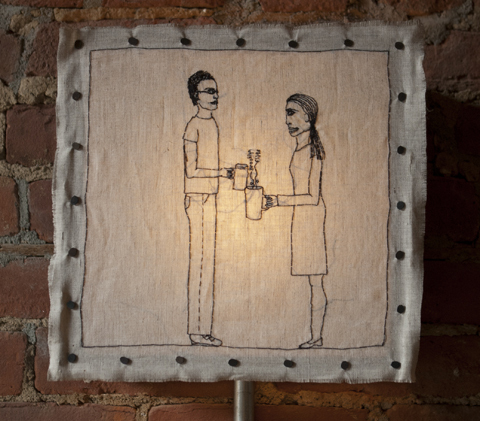 “Brooklyn Flirts.” Embroidery on linen on sconce @ 61 Local. 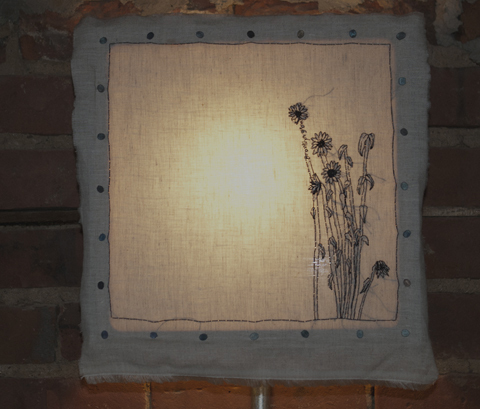 “Brooklyn Grows.” Embroidery on linen on sconce @ 61 Local. 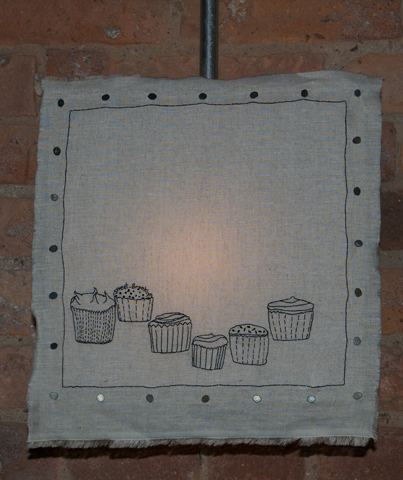 “Sweet Brooklyn.” Embroidery on linen on sconce @ 61 Local. 61 Local in Boerum Hill (or is it Cobble Hill? ), Brooklyn, at 61 Bergen Street, is like a home away from home for me, thanks to the lovely, patient, and talented staff, including Dave Liatti, owner, and Anne Mourier, designer, who commissioned me to make embroideries for the nine sconces lining the interior. Bring your friends, your kids, your dogs, and grab a beer or some kombucha or local eats at 61.